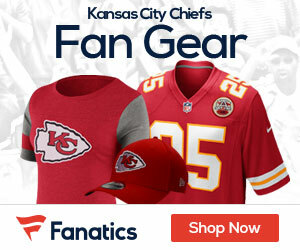 Tickets for Chiefs home games go on sale to the general public on Wednesday, August 3 at 10 a.m. Tickets may be purchased online at Ticketmaster.com, by phone at (800) 745-3000, in person at any Ticketmaster Outlet or at the Arrowhead Stadium Ticket Office located between Founder’s Plaza and the Hy-Vee Gate on the northwest side of the stadium. Tickets for Chiefs home games start at just $30. Home games against the Pittsburgh Steelers and Green Bay Packers will continue to be sold as part of a 2-Pack in the Upper and Lower Levels with your choice of any other Chiefs home game. Scout Investments Club Level tickets will be sold individually for both of those games. There is no limit to the number of tickets that may be purchased for any games. Buyers may use cash or credit card (VISA, MasterCard, American Express and Discover). No checks will be accepted. In continuation of the team’s long-standing policy, the taxpayers of Jackson County, Missouri will receive first priority to purchase tickets for the 2011 season on Monday, August 1 and Tuesday, August 2. Tickets may be purchased in person at the Arrowhead Stadium Ticket Office from 10 a.m. – 5 p.m. Monday, August 1 and will be available during normal Ticket Office hours on Tuesday, August 2. Tickets are also available at the participating Kansas City Ticketmaster Outlets listed below (hours vary by outlet). No phone orders will be accepted for this special pre-sale event on August 1 and August 2. Jackson County taxpayers purchasing tickets must have one form of identification that includes a photo of the purchaser and a personal 2010 Jackson County, Missouri property tax receipt. Spouses residing at the same address will be allowed to purchase tickets, even if the property receipt is in their spouse’s name.